Microsoft’s Windows Server 2016 is now generally available. 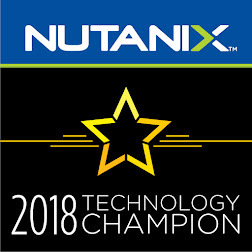 And it's a good chance to see it running on Nutanix CE. Make Sure that ISO files are Active. Browse to the VM page and select Create VM. Update the Predefined CD ROM by selecting (Clone from Image Service) and Selecting the Virtio ISO File. Add New Disk (CDROM) and select the Windows Server 2016 ISO file. Add New Disk for the Windows Installation (Minimum: 32 GB). Review the defined Hard Disks, Then Click Add New NIC. Select the vLan, and Type the IP Address if the NIC is placed in a managed network. Select the preferred Options and then Click Next. Select the edition and Click Next. Load Storage Driver using Virtio CD. Browse to “vioscsi” driver folder for Windows “2k16” on Virtio CD. Click on the second option, Browse my computer for driver software. Network driver resides in the “NetKVM\2k16\amd64” directory. Balloon driver resides in the “Balloon\2k16\amd64” directory. Review configuration information by running “Systeminfo” command.